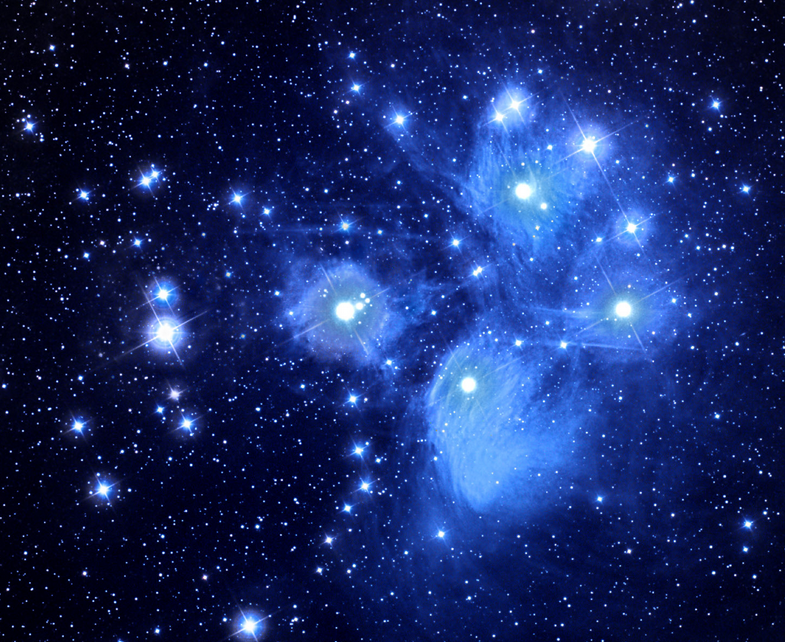 Pleiades Constellation is a Bound cluster, not breaking up. situation is very uncommon as the reverse is usually true of all open or galactic clusters. Also, photographs reveal that some of it's stars are veiled in a faint transparent blue haze of gas and dust, which beautifully reflect the glory of the stars in the cluster with their various colours. The cluster is indeed "sweet" in colour as God said in Job 38:31. Question: How did the Bible know these two details, which are not observable to the naked eye?